My baby is not a baby anymore! 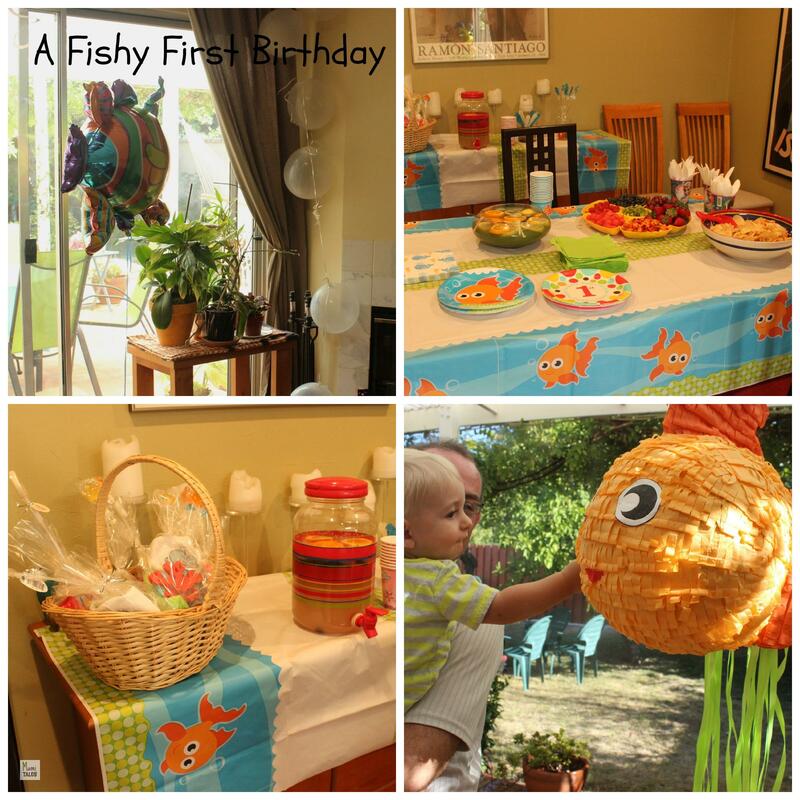 My little one turned one and we sent him off to his toddler years with a very fishy first birthday celebration! 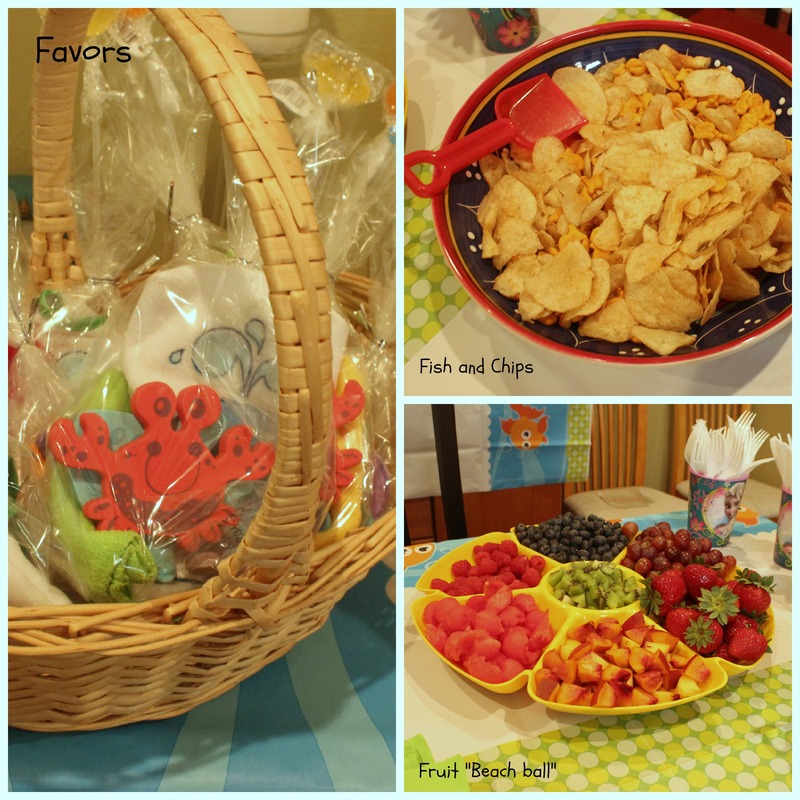 Using Pinterest as inspiration, I put together a bunch of ideas to decorate, serve food and make our favors. Here’s the board: 1st year party board. We used clear balloons to create “bubbles” throughout the house, and a floating myllar giant fish to go with that. I had a lot more of these strings of clear balloons prepared, but my lovely 6 year-old tangled everything up and we could salvage only a couple… We ordered a fishy piñata and matching paper plates, napkins and table covers to finish the whole “underwater” adventure. 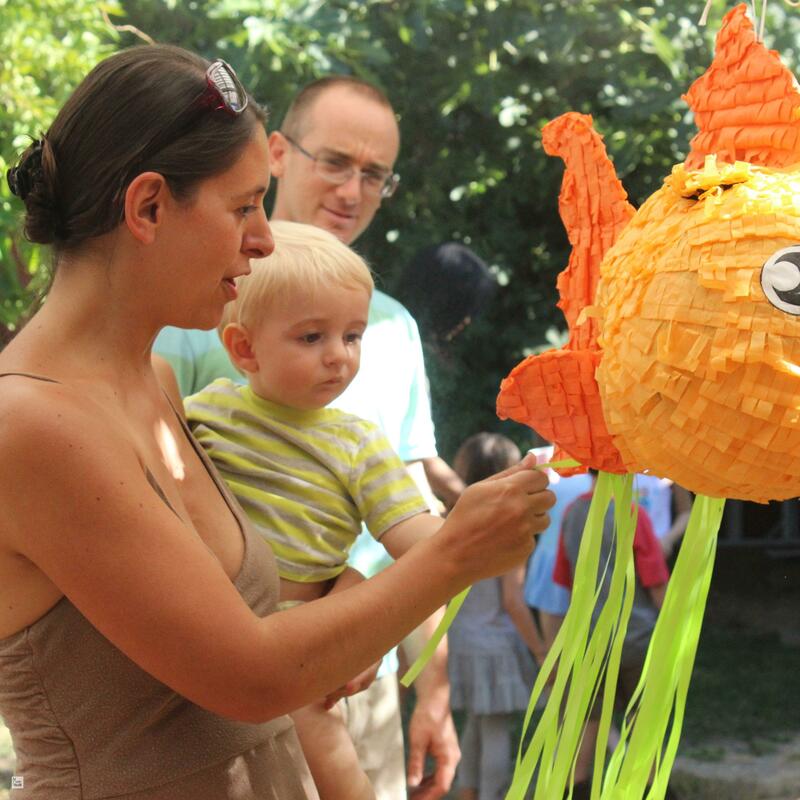 We filled the piñata with little rubber duckies and some other candies, as a good number of our guests were babies too. For snacks, I combined Kettle chips and Goldfish in a bowl for “Fish & Chips”, we also made a colorful “Fruit beach ball“, and attempted to make the “Fish bowl fruit punch“… word of advice, Nerds do turn the punch murky, looking a little more like a swamp than clear blue water! For favors I got a set of Nuby bath toys, some Crayola Bath Color Dropz, Colorful washcloths, Whale bibs and Goldfish lollipops, to follow the water/fishy theme. 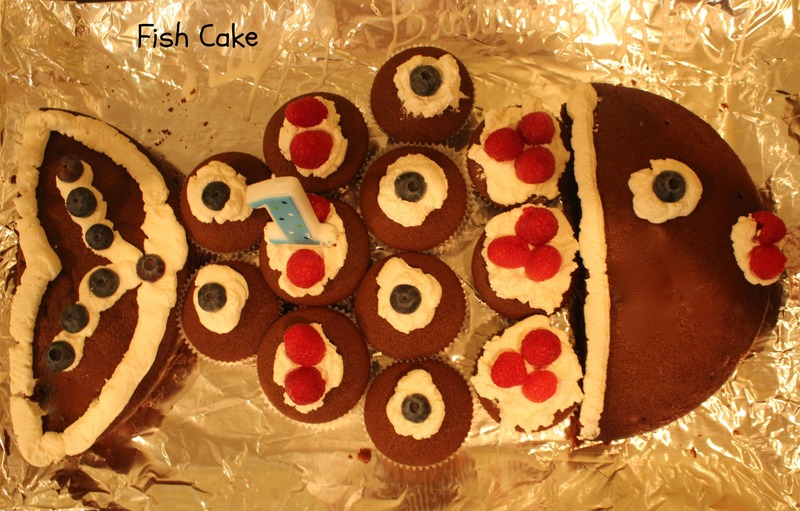 Finally, for the cake, I followed this idea for doing cupcakes and a cake into the shape of a fish, from Oh cupcakes. I used my own recipe for Chocolate Devil’s food cupcakes, and decorated them with whipped cream and fresh berries, instead of icing. Here’s how it turned out. For kiddie activities we put out the wadding pool, water table and a whole assortment of water toys. As our guests ranged from just a few months old all the way to 6, there was a good number of activities and free play for everyone to enjoy and have a blast! And the birthday boy had a very happy day! Tagged Baby, Baking and Cooking, Desserts, Family. How fun this fishy party looks! Fish ‘n Chips – so easy, yet SO creative. LOVE those ideas! Your fish cake/cupcakes turned out great too! Thank goodness for Pinterest – I LOVE that resource! Thanks, Anna and Amy! It was a lot of fun! And definitely you have to love Pinterest 🙂 Awesome resource for inspiration!